Special offset handles. Stainless steel blades. 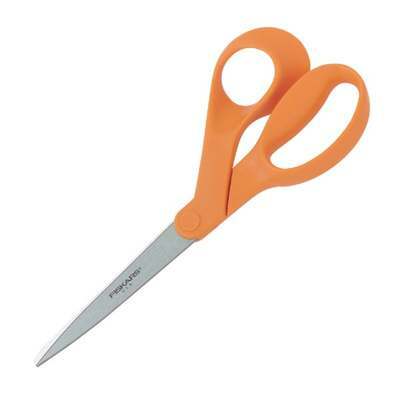 Multipurpose scissors. For easier visibility when cutting. Makes cutting easier on flat surfaces. Precision-ground and hardened for a sharp long-lasting edge. Limited lifetime warranty.